If you have never attended a ghost hunt, our ghost hunting nights are perfect for novices and experienced ghost hunters alike. Become a real ghost hunter for the night as you experience; ouija boards, table tipping, glass moving, writing planchettes, dowsing, pendulums, vigils, electronic equipment and séances first hand with our team. You will spend up to an hour in a group of no more than 12 people undertaking a particular activity. After each session you will swap activity, so that everyone experiences all activities. Everything you experience on our ghost hunts is real, we use no stooges, props or fake anything. Unsure of what happens on our ghost hunts? Read our What to Expect page. Our dedicated team attend all events. On certain events we have more space and time and can offer VIP tickets for an extra £10 per person. 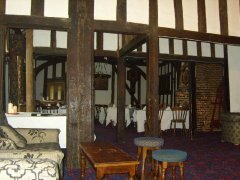 VIP's can expect:- More time at the venue, more time to talk to the team, a tour of the venue before the event starts plus access to all our ghost hunting equipment. See events that we have VIP tickets available. Will you hear the female laughter in the Right Wing Battery? Or sense the presence of previous soldiers in the cells of the Fort? Join us if you are feeling brave! 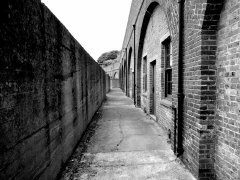 Fort Burgoyne in Dover, Kent was originally known as Castle Hill Fort and built to defend Dover. 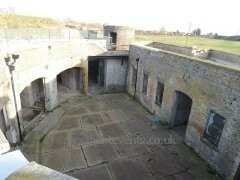 It was heavily armed during World War II but now stands empty and desolate. This is an eerie and mysterious place. VIP Tickets Available - What's This? Security staff have heard sounds of footsteps in the halls, a feeling of being watched as they lock up and they have been pushed on the old staircase!! 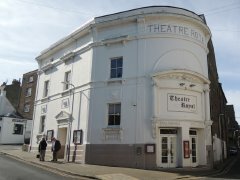 Theatre Royal was built in 1787 and hauntings started in 1918 in an area backstage which led to smugglers caves. Will you meet the ghost of the person who jumped to their death from one of the boxes? Steelhouse Lane police station is a police station in central Birmingham, England. It was built for the Birmingham City Police and opened in 1933 as their Central Police Station. Steelhouse Lane Police Station is a Victorian Grade ll listed building dating back to 1892. Originally it had the capacity to hold 50 detainees at any one time, once held the evil, serial killer Fred West before he was moved to Birmingham Prison. 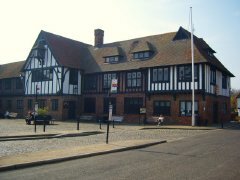 The former station still retains many of its original Victorian features and was used to house prisoners for well over a century. Visitors here have reported dark shadows and strange voices heard, along with heavy booted footsteps and the rattling of keys, one cell in particular is said to be an area for much paranormal activity within the building. The Red Lion Hotel is haunted by; Alice Millar, a chambermaid at the hotel killed by a lover. Or the ghostly monk seen in the restaurant. "Had a brilliant night. many thanks to all the team, it was fascinating and can\'t wait to come to another one!" - K.A. "I would like to thank the team for an amazing night at Fort Amherst...the best bits of the night was the table tipping" - S.C.
"I loved it, the table tipping was amazing. Would definitely book another ghost hunt." - T.M. "AMAZING, EERIE, WONDERFUL, AWSOME, SCARY. This was a truly awesome place to visit with the brilliant team from Ghost Hunt Events, always a pleasure to be with you guys." - H.J. Enter your email address to subscribe to our mailing list for notifications of forthcoming ghost hunts, our monthly update email, competitions and special offers.